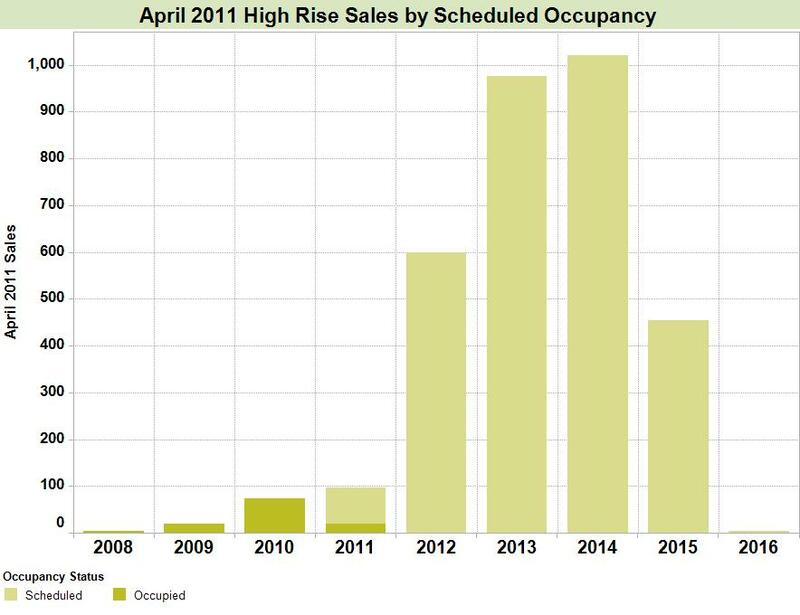 We can also break down April sales by the scheduled year of occupancy for those units. 4% of April sales were in buildings already built and occupied. The remaining 96% of April sales had scheduled occupancy dates ranging from 2011 to 2016, with the bulk (32%) having occupancy scheduled for 2014, or 3 years from now. Of the units sold in April, and currently not ready for occupancy, about 75% were in projects that had not yet started construction, with the remaining 25% in projects currently under construction.